At first glance, racial quotas seem a clear solution to the problem presented by a large, racially diverse student body. However, various identities and circumstances are woven throughout these “clear-cut” racial groups and designations and demographics, ultimately ridding this “solution” of its effectiveness. Among black students, there are some who identify as Muslim and some who identify as Christians. Among white students, there are be some who identify as Jewish. This variable of religious identity applies to all racial and ethnic groups, not just black and white – yet religion is not the only subdivider that could be called into question. What about sexuality? Gender? Socioeconomic status, family structure, ability? As we delve deeper into the the layers of self and classification, it becomes clear that the only real way to represent every special interest and minority in this school would be to get the input of each individual student. 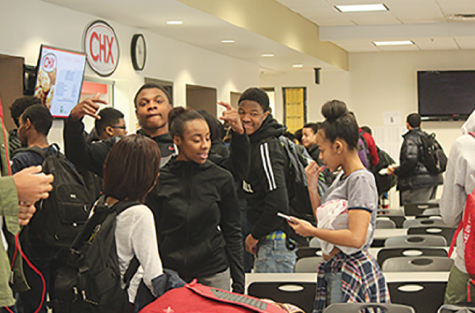 However, because many of these groups are considered “minorities” both here in Shaker and the world at large, their interests are not represented when large-scale systems – the school calendar, for example – are being created. ““I’m a Christian first, American second, conservative third and Republican fourth,” said Republican presidential candidate Senator Ted Cruz. Imagine if we identified ourselves like that at Shaker: “I’m an LGBT student first, white second, IB learner third and Shaker Heights citizen fourth.” But that’s not how personhood works – I don’t get to order my identities and choose which one I want to be my “Primary Identity” when I’m being chosen for school activities that use quotas. This is not to say that Shaker should just throw in the towel on diversity. We’re meant to be getting a global education, here! “Students only know really the name of Islam, and that students who wear the hijab are Muslims, and that’s it,” sophomore Arwa Elmashae said. She later went on to say that there have been people at school who equated choosing to wear a hijab to choosing to wear a hat. Clearly, then, some aspect of that “global education” is missing in this scenario. This lack of representation generally does not affect me. I am white, I belong to the largest religious group in our country, I am not economically disadvantaged, I am able-bodied – the list goes on. The fact that I identify as a member of the LGBT community doesn’t even impact the quality of my life that much, especially here at Shaker. What writing this story has revealed for me is that simply classifying representation into “minority” and “majority” does not solve anyone’s problems – except for whoever’s trying to come up with people to fill in chairs. Simply claiming that because I identify as gay, and so fall on that nebulous spectrum of “diversity,” I can therefore fill in for any other demographic is the easy way out. Even within the LGBT community, I do not experience the same obstacles as someone who is transgender, and just being a woman doesn’t mean I can understand the obstacles faced by women of color. Choosing one group as a “majority” – here in America, it’s typically white, Christian males – and hoping that if an equal number of people not of this demographic are chosen, we’ll be able to check off that little “Diverse” checkbox is an overly simplistic and superficial approach to promoting equality and awareness. Picking and choosing individuals in order to ensure representation must be done deliberately and thoughtfully, or not at all.